Hovertravel has come under fire today following the suspension of their service due to “adverse weather conditions”. With very little wind in Ryde, passengers say they’re baffled as to why the service would be suspended. “At Hovertravel our primary focus is always safety and we suspended our service today for safety reasons. From the feedback we have received, and the media reports published, we appreciate that there was some disbelief as it is a warm spring day with blue sky and sunshine. “This is a situation which is constantly monitored, and you may see an empty craft depart Ryde on a sea sortie to assess the conditions across the Solent. Following the sea sortie at 1215 Hovertravel pilots have reported there is no change in the conditions. The next update from the company will be at 1330. 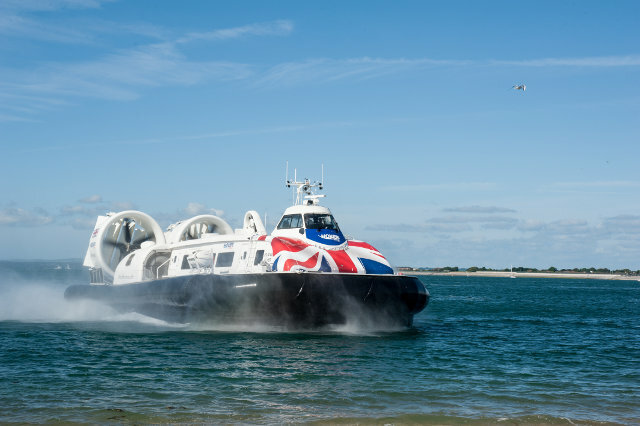 3 Comments on "Hovertravel respond to criticism over service suspension"
I was out on the Solent this morning in a vessel with similar windage to the hovercraft and small draught and the water was surprisingly lumpy. Those wingeing customers would be the first to complain if their journey was uncomfortable. Yep I can confirm there was a breeze running against the tide, white caps and even the car ferry was rocking about. Hovertravel may suffer abuse for cancelling crossings but ultimately the pilots word is final, they spend years gaining experience flying, yet occasional passengers think they know best! I was on the fast cat that day and the captain advised that it would be rough on the crossing .